With Manchester City winning against West Brom, it was important for the Gunners to maintain their momentum against a Newcastle side they had a quite impressive record against. Arsene Wenger made some changes from the squad that beat Monaco with Gabriel Paulista and Aaron Ramsey coming into the fold with Per Mertesacker rested and Mesut Ozil missing out due to illness. 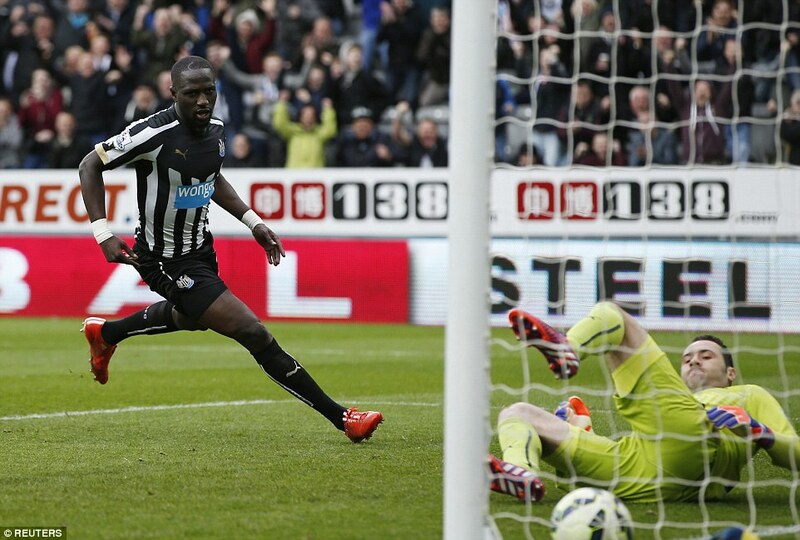 The home side were the quickest to get off the mark with Ayoze Perez firing a shot that was blocked by Gabriel. On the other end, Alexis Sanchez swung in a cross that was bound for Giroud but Tim Krul anticipated it. Giroud did really well to nick in a lovely pass for Ramsey but the Welshman’s finish was pathetic. 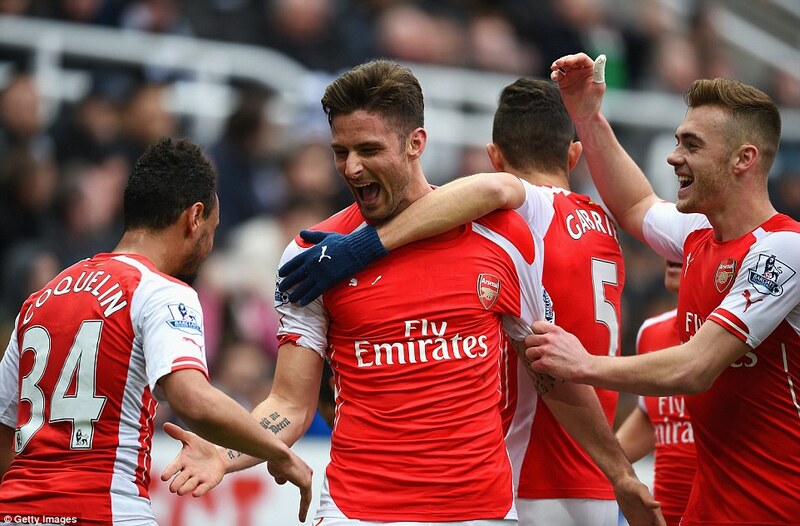 Arsenal opened the scoring when Giroud reacted quickly to a Danny Welbeck flick to guide the ball past Krul. That was his seventh Premier League goal in nine League games but that wasn’t enough for the Frenchman as he latched unto Santi Cazorla’s corner to give the Arsenal lead some cushion. Prior to Giroud’s second strike, Alexis combined with Welbeck twice but the Englishman wasn’t in the same wavelength with the Chilean. Welbeck went on to have a slalom run but there was no end product from it. Newcastle began the second half with more urgency and got a goal right from the onset when Moussa Sissoko side-footed Remy Cabella’s cut back past a hapless David Ospina. Maybe the goalie line of sight was impaired by Gabriel but his reaction to the shot was quite comical. That goal took the wind off Arsenal’s sails and it was all Newcastle from then henceforth. Ayoze fired a looping shot that went wide, Gouffran fired a tame shot that was saved by Ospina, Williamson was next to get in the act with a point-blank header that was saved by the goalie then Daryl Janmaat blasted a long range volley that went wide. Newcastle’s pressure was incessant and I thought the Gunners were going to concede. Arsene Wenger brought on Tomas Rosicky and Mathieu Flamini to shore things up in midfield. Following some more pressure on Arsenal, Welbeck had a breakaway on the left where he used his pace to great effect to evade his marker but he couldn’t beat Krul on his near post. Late on, Ospina made another great unorthodox save from Perez and Arsenal brought on Bellerin to wind down the clock. The young fullback did well to get a clear chance but he attempted to tee up Giroud. Luckily for Newcastle, Krul was on hand to smother the ball. “Oli’s been on flames and he’s worked very hard to get the goals. “He’s winning points for the team and I think collectively everyone has been very impressed with the way he’s been playing in 2015. Giroud has suffered some criticism from the fans and media vultures but in recent weeks he has made all his critics to watch in awe as he has been blasting the goals in. I’m so happy for the lad and I hope his good form continues. Posted on March 22, 2015, in Arsenal, Football, Match Report, Premier League and tagged Arsenal, Football, Newcastle, Premier League. Bookmark the permalink. Leave a comment.